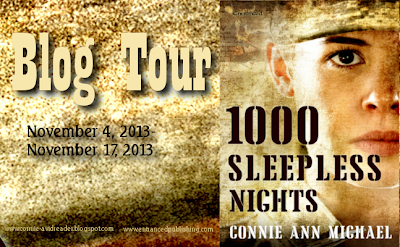 Today is my stop during the blog tour for 1000 Sleepless Nights by Connie Ann Michael. There is an excerpt and a tour wide giveaway with awesome prizes! begins to realize she can’t save everyone. Seeking comfort from Raven, her commanding officer, Emme develops feelings that don’t belong in a combat zone where each step could be your last. As Raven reciprocates, Emme learns you can’t choose when and where love finds you. A few men were standing around a water pump a short distance away, washing the dust off their faces and filling water bottles. Sawyer headed their way. She needed to scrub the blood from her hands. The men stepped back when she approached. She used the long handle to prime the pump; then placed her hands under the water when it spewed from the small opening. 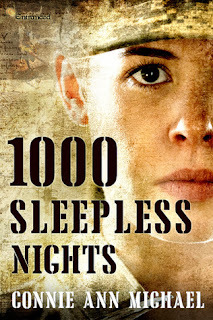 She worked her hands together, scrubbing at the dried-brown blood around her fingernails and up her forearms. The water felt good, cool, and refreshing after the heat. She opened the neck of her jacket and tilted her head back. She wiped her damp hands down her throat and on her chest. He raised his eyebrows and tilted his head to the side. She followed his head bob. 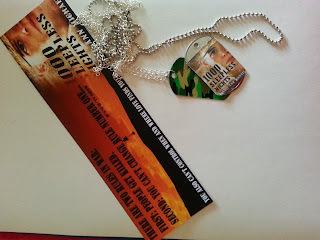 The men sent to break holes in the wall had stopped their work and stood, leaning on shovels, their eyes trained on where Sawyer was standing. Raven stood to the side, his mouth set in a tight line while he watched the men watch her. Water dripped from her chin. Raven shifted his gaze to her. His expression conflicted. Either he was angry at the men for staring, or angry at her for making them. Sawyer wasn’t sure. “It’s like you’re in a wet T-shirt contest,” Tahk muttered. “I was getting the blood off.” She pulled her jacket closed. “Just get down.” With a frustrated sigh, Tahk walked away. Raven barked at the men, “Get your asses back to work.” They tripped over themselves to resume their pounding on the mud wall. Embarrassed, Sawyer stepped off the ledge of the well and followed Tahk to where he had their bags. She leaned against the wall, thankful for the small amount of shade it provided. “Give it a rest. Men don’t wipe water down their neck, letting it drip off them.” He waved his arms around in an exaggerated impersonation of her movements. “No argument here, sister,” he said. “You’ve known Raven a long time, haven’t you?” Doogie started to pry for some information. “That’s his look. 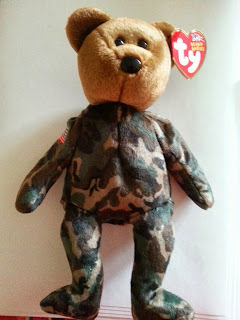 Don’t take it personal,” Tahk mumbled. Great excerpt. Sounds like a great read.